We are seeing an increased need to track a object in real time and view its position on a mobile phone. There are many different places that users want to install the GPS tracker, but a rigid enclosure like what the market currently has cannot meet all the requirement. 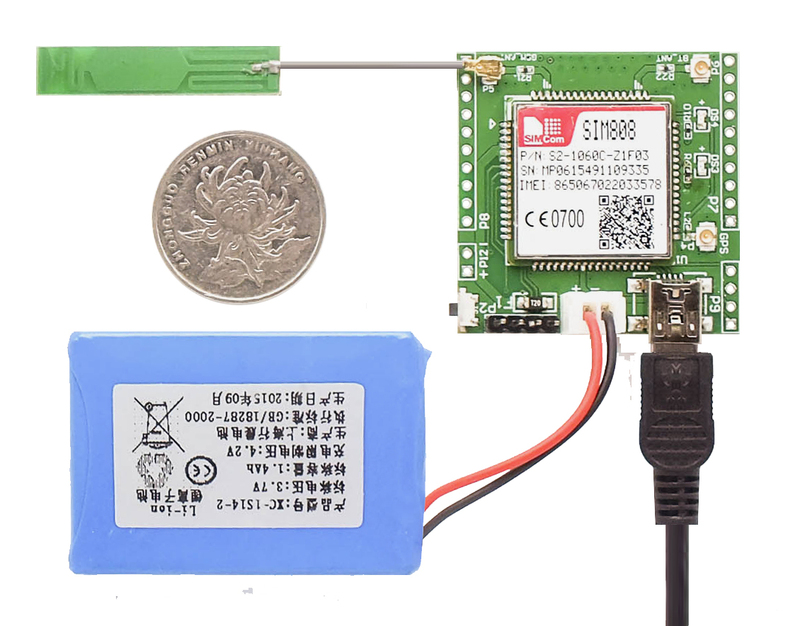 Openhapp offers this DIY GPS tracker kit to service the DIY market where users can use encosures, batteries, antenna to fit their need. This GPS tracker posts its position and battery level to LinkSprite.io at a configurable time interval, a mobile APP is also provided to get the position and battery level from LinkSprite.IO and show the location on the mobile APP. To add the device to a user’s account is done by using the mobile APP to scan the QR code supplied with the kit. If you find that this GPS tracker doesn’t fit your need excactly, please contact us and we can custom make for you. This GPS tracker uses GPRS, and AT&T doesn’t offer this service anymore. We have tested with T-Mobile. 1 – MiniUSB interface. This is for power supply and can be used to power the board or charging the battery if the battery is attached. With the UART to USB adaptor, it can also be used to communicate witht he GPRS/GPS module.